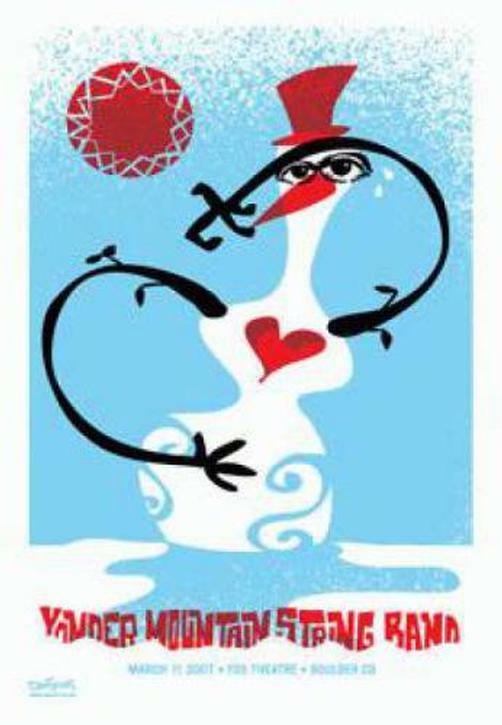 Original silkscreen concert poster for Yonder Mountain String Band at the Fox Theatre in Boulder, CO in 2007. 18 x 26 on card stock paper. Limited edition of only 110 signed and numbered by artist Dan Stiles.